Have a question for us? No problem! We are here to help. Below are a few of our most frequently asked questions. If you're not finding the answer you need, scroll to the bottom of this page where you'll find an inquiry form. I live outside of your distribution radius. Can you ship me your beer? We would love to send you some our brew direct from the facility, but strict Ohio state law prevents us from doing so. If you ever find yourself traveling though our distribution footprint, here’s a full list of our distributors: https://www.greatlakesbrewing.com/beer-finder. Where can I get your beer in my state? 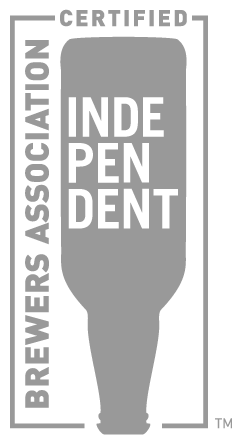 Try our beer finder tool! You can search for any GLBC brew within a 100 mile radius of you! We recommend calling the location or distributor in advance to confirm that the listing is up-to-date before traveling. Beer Finder: https://www.greatlakesbrewing.com/beer-finder. I just bought your beer, but something doesn’t taste right! What’s up? We’re sorry to hear you had a less-than-exceptional experience with our beer. We want you to experience each of our beers just as our brewers intended. If something doesn’t taste right to you, we’d like to hear about it so our quality control team can investigate. If you encounter an “off” flavor in a 6-pack, 12-pack, or case of our beer, please save the remaining unopened bottles and contact our customer service team at GLBCinfo@greatlakesbrewing.com. They will be happy to assist you in determining what might be wrong. Something is wrong with the packaging and/or bottle! If you notice something wrong with your bottle, please do not throw it out, and contact our customer service team at GLBCinfo@greatlakesbrewing.com as soon as possible so they can assist you. I’d like to make a reservation at the brewpub. We’re excited that you want to bring your group to our pub! We currently accept reservations for parties of 8-12 people Monday through Thursday. We do not take any reservations Friday and Saturday. Sorry, but we do not offer call-ahead seating. To make a reservation, please call our Administrative Assistant Felicia Jackson at 216.325.0222. I want to rent a room at GLBC for a private event. We love hosting groups! We have a number of rooms that can accommodate varying group sizes and events. If you are interested in holding a private event or reserving a space at our facilities, please contact Events Coordinator Emily Shumaker-Chupp at 216.325.0218 or EmilyS@greatlakesbrewing.com. Beer fans new and old are welcome to join us for a GLBC production brewery tour on Fridays and Saturdays from 12PM to 8PM (hours vary). Tours meet in our Beer Symposium at 1951 West 26th Street, Suite 100. Tours cost $5 per person and include four 5 oz. beer samples of your choice, so make sure to bring your ID! Tour groups are limited to a maximum of 15 guests. Walk-up registrations are taken in our Beer Symposium, but online registration is preferred. Please note that we have a reduced tour schedule January through April, but that we do offer some select holiday tours. For current hours, please contact GLBCinfo@greatlakesbrewing.com. Do you offer private brewery tours? We do! Private brewery tours outside of public brewery tour hours are offered to better accommodate large groups and varying schedules, and are available Monday through Thursday. The tour structure is the same as a public tour, and the cost is $100 for groups of up to 15. Private tours can be booked through our events department by calling 216.325.7846 and must be scheduled four weeks in advance. Something came up. Can I change/refund my tour? Due to our brewery schedule and logistics, payment for tours is non-refundable and the event date is non-transferable, so make sure you pick your date and time carefully! When is the next brewery event? Can I buy a gift card for Brewery Tours, Brewmaster’s Dinners, or other events? I don’t live near GLBC, but are there any GLBC events happening around me? I’m decorating my home bar. Do you have any cool merch sitting around? 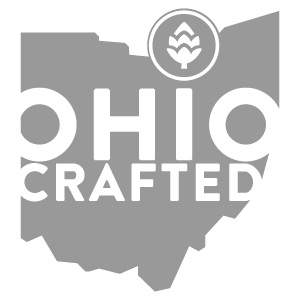 We’re honored that you want to adorn your bar/cave/dorm/in-law suite with GLBC goods! Check out our online gift shop where we have a great selection of GLBC gear! Please follow the link to start shopping: https://store.greatlakesbrewing.com/. I would like to exchange an item I purchased online. I would like to exchange an item purchased in person at your gift shop. I’m working on a research project. Can I interview someone from GLBC? We love that you want to include us in your educational pursuits, but please don’t take it personally if we respectfully decline. We’re flattered by the number of requests we get to assist with research and projects, but with so many requests, we are unable to assist everyone. Since we don't want to pick and choose whom we help, we’ve decided to politely decline all such requests. Thanks for understanding and good luck on your research! I heard you have a shuttle that goes to Indians and Cavs games. Tell me more! Local and visiting fans can ride to the stadium in style on our eco-friendly shuttle bus, "The Fatty Wagon." The Fatty Wagon operates on straight restaurant vegetable oil and services Cleveland Indians and Cleveland Cavaliers regular season home games (weather permitting; not available on Sundays). The shuttle runs continuously from 45 minutes before to 45 minutes after the game (passengers will be dropped off and picked up across from Progressive Field). Round trip is FREE with the purchase of a brewpub or gift shop item. Please note: the Fatty Wagon is not available for private rental or use. Call 216.771.4404 for updates. Service is subject to change without notice. If weather forecasts prove unfavorable, a decision to cancel the shuttle will be made 24 hours before game time and will be broadcasted through our social media outlets (when possible). Will GLBC donate to my awesome cause/charity event? GLBC is committed to donating 1% of profits to philanthropic causes, and we appreciate that so many of our customers are doing good work in their communities. Due to the volume of requests we receive, we accept charitable gift requests exclusively through a request form on our website. To submit an official request, please visit https://www.greatlakesbrewing.com/charitable-giving. You may review our donation policy on this page, as well as request a donation by clicking on the “Request A Donation” button. Please note that we require at least 45 days’ notice for all charitable requests. In addition, organizations (if approved) can only receive one (1) donation per calendar year. Thank you for your understanding!